Companies that build lodges, hotels and other public facilities close to fire prone areas should really invest more in primary fire fighting equipment. Our company was delayed by moving into our new premises by almost two months as the CoCT had said the fire sprinklers wern't up to scratch, and had to be replaced. I will reserve comment on the builder's in the area. Father has a house in Rooi Els, fortunately untouched. He went through at 3am this morning to see what he could do. Sorry about the hotel smi. Public establishments are always inspected by the City's firefighting authority to give clearance before occupation. Either the establishment managed to get out of this, or bribed an official. Either way, the primary fighting equipment for such a new establishment was clearly ill-equipped. As of today, I am jobless because of that complete spyrogyro rubbish. More realistically buildings are required to have firefighting equipment adequate for fighting small fires (that would reasonably be expected during the conduction of normal business activities), and not for fending off large blazes that an entire fire department can barely handle. (Day 4). It is burning in the mountain; no homes are being threatened. #WOF_WC teams were on the line through the night: fresh teams replaced them this morning. Estimated burnt area is currently 3 500 hectares of vegetation. Edit: I downloaded some satellite images from yesterday (Fri 4th), morning and afternoon (cloudy). Edit #4: Clearer satellite image from this afternoon (Sat 6th). PLEASE NOTE the Sparks Bay & Koggel Bay Resort campers are being evacuated due to the fire descending from above Blousteen peak. Firefighter, aerial support and tenders on scene. R44 will remain closed. Very sorry for your loss of work. If the business was insured correctly and if the broker knew their products and covers then the cover for you salary should be paid by the insurer's till the hotel is up and running again. The man accused of starting a devastating blaze that ripped through the Overstrand area in the Western Cape last week, is expected to appear in the Caledon Magistrate's Court on Monday. The 34-year-old is facing a charge of contravention of the Nature Conservation Act. 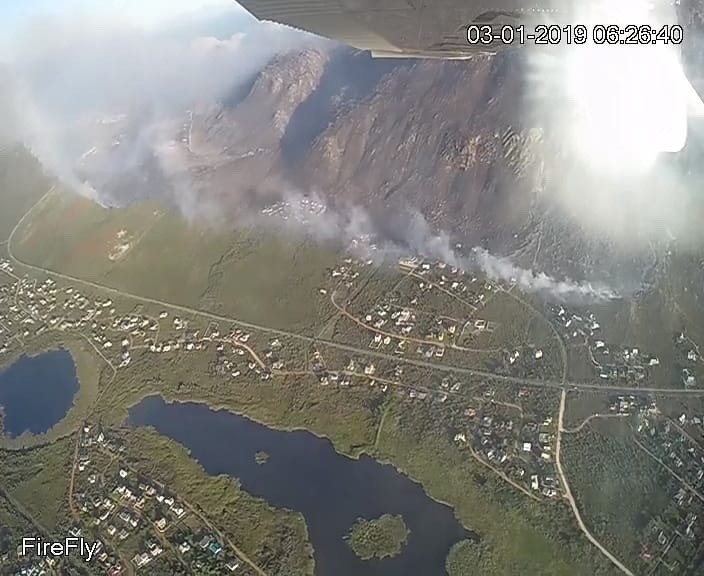 The fires have affected areas close to Betty's Bay, Pringle Bay, Hangklip and Rooi Els. 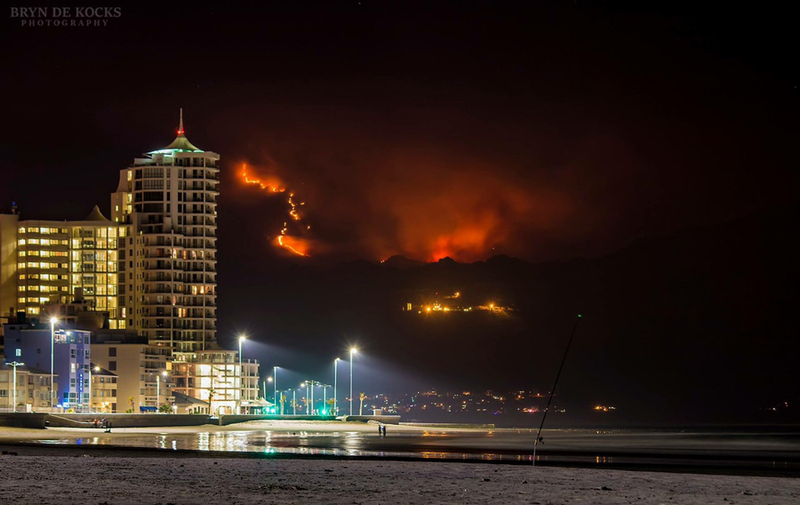 Photo taken from Strand beach last night. Can't help wondering if somebody else is going around starting fires in these areas to exacerbate the situation.